← The Trials Are Coming! On June 22, the first Olympic Trials final will take place, at least on the track side (the men and women hammer are on the 21st). *Well let me start off by saying that it would be amazing if Sally Kipyego became an American citizen. On the ladies side, it’s a bit tough to decide who will do what because both Shalane Flanagan (American Record Holder 30:22.22) and Kara Goucher (30:55.16) are going to be running the marathon in London, so if they run, will they use it as a workout or will they try and make the team? And if they make the team, will they run both the 10k and the marathon in London? Probably not. Let’s just assume that they will only compete in the marathon in London, so who will be on the team? Amy Hastings: has a PR of 31:19.87, she ran that in April at the Payton Jordan Invitational. She is looking very good for the Trials, hopefully she hasn’t peaked. 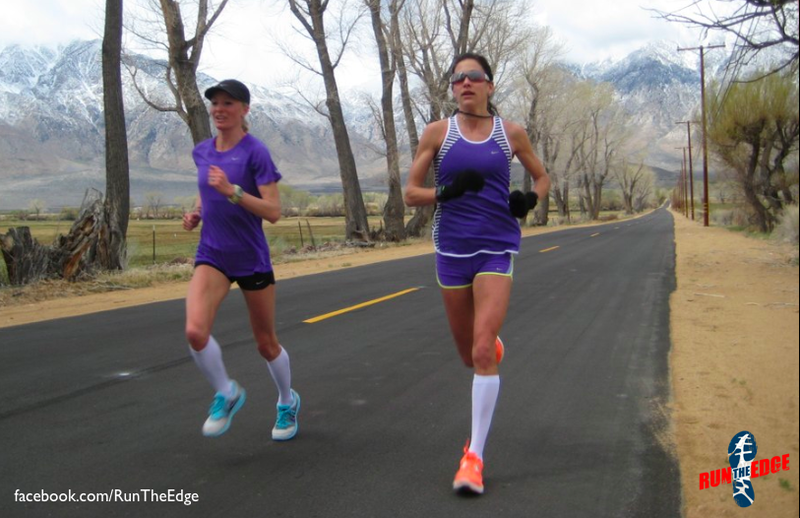 Amy Yoda Begley: was a member of the Nike Oregon project, but left in 2011 for OTC Eugene. She made the Beijing team and she also was on the Berlin team a year later. She didn’t have the best year in 2011, finishing 6th (32:34.75) at the championships, but her PR of 31:13.78 keeps her in the mix. Jennifer Rhines: Rhines was 3rd (31:30.37) at last years championships. She has a PR of 31:17.31. But she is “old” for a runner, she is 37 and he birthday is July 1st, it would be an amazing present for her to make the team, she has participated in every Olympics since Sydney in 2000 (mostly in marathons). Lisa Uhl: the current NCAA Record Holder at 10,000m, is looking to have a good year after dealing with plantar fasciitis and a stress fracture in 2011. She has run a 31:35.50 this year which is less than 20 seconds away from her PR (31:18.07) from 2010. Janet Bawcom: 15:22/31:33.50 in 2012. With Deena Kastor out of the mix, this makes Castor’s chances of making the team even greater; she seems to be in top shape and ready to make something happen. Uhl, Hastings, Bawcom will be reppin’ the US of A in London. Only 3 runners in race have met Olympic Qualifying Standard of 31:45 (Hastings, Koll & Janet Cherobon-Bawcom). To leap ahead of these 3, other runners would have to (1) beat at least one of them, and (2) beat the Olympic Qualifying Standard. Forecast for Friday in Eugene: Rain and Pollen Count over 9.0 ….anything over 9.0 is considered health risk for many people. Monzano, for example, has asthma condition… may be tough for him & others. Prediction: Hastings wins in a walkaway!! !